As a birthday gift to myself, I did something I often do: buy a new book. 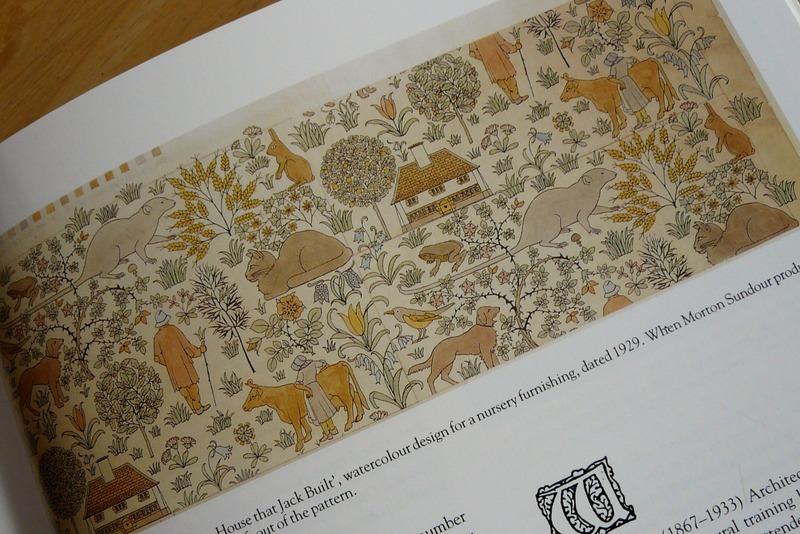 This time, browsing for design inspiration, I ended up ordering Textiles of the Arts & Crafts Movement, by Linda Parry. It’s interesting and beautiful. And here’s a little tidbit worth sharing, just for the smile. This watercolor, called “The House that Jack Built,” was designed in 1929 for a child’s nursery. It’s charming. But — whoa! — wait a minute! Does anything about it grab your attention?! The text under the photo put my mind at ease: “When Morton Sundour produced the printed fabric the rats were left out of the pattern.” Resulting in far better nights of sleep for the babies, I’m sure. Ah, Gloria, I like the way you think :). Yes, my brother had a rat for a couple years–but it was after I left home, so I didn’t get to know it as a pet. My loss! Quite interesting. The rat jumped out at me 1st! It definitely would have given me nightmares! !